This level has medium difficulty. 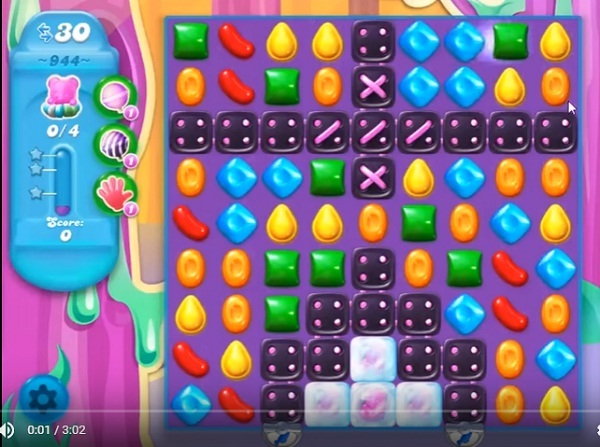 For this level try to play more near to blocker or top part of the board to shuffle the candies. Make special candy and use them with other special candy or play near to bear to move them and take them out from the board. When I click on the level hoop to take me thru to the different levels it won’t move down it’s been like this for a few weeks now. I have to keep scrolling thru all the levels I have previously done to get 2 the level I’m at. till I get to the level I want which is a pain do u know how i can get this back to making it back to just tapping on the level hoop 2 take me thru to show me all the levels and so I can tap on my level I’m at. This is so frustrating…..